HKEY_CURRENT_USER. You will never find a more wretched HIVE of scum and villainy. We must be cautious. How on earth do I install the Virtual Storage Integrator (VSI) which was previously the EMC Storage Viewer plug-in for VMware vSphere? 1st off, what do I need to make this happen? 1. Get the EMC Solutions Enabler vApp, EMC Solutions Enabler for windows x86, and the EMC Storage Viewer vSphere plug-in. The vApp must live on a host that has access to the SAN/NAS and a mapped physical mode RDM LUN. 1a. On the downloads page grab the latest Solutions Enabler vApp and win version. 2b. Select the lucky host that will house the vApp. 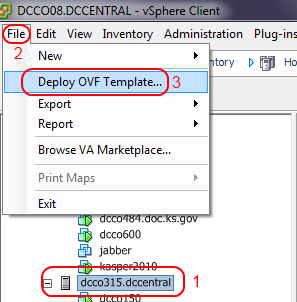 click File>Deploy OVF Template. Your host must have direct iSCSI or FC access to your SAN. 2c. 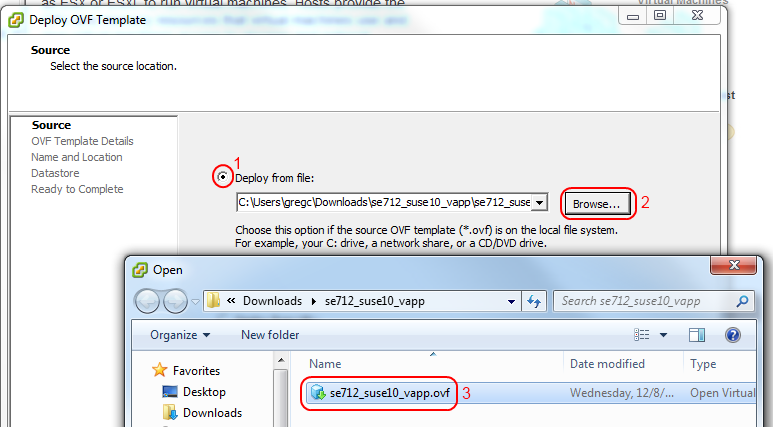 Select to deploy from file and find your unzipped ovf file. 2d. Click next and accept a bunch of times till you are through the wizard. 3. Let’s get this vApp going! 3a. This vApp needs a physical mode RDM LUN mapped to it. 3b. Boot up the guest and access the console. 3c. During boot you will need to agree to a EULA, change the password, and set the timezone. 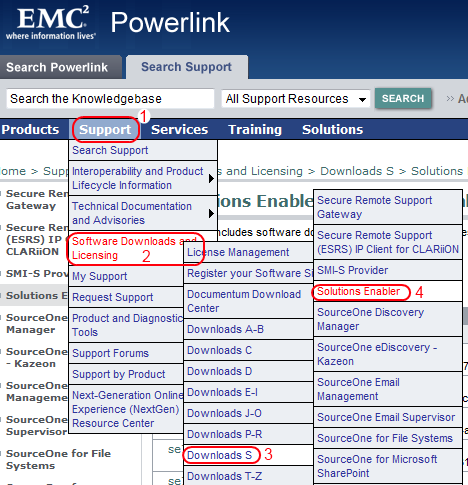 Or you can email licenses@emc.com and they will give it to you. 3e. It will ask you if you want to enter another key. Enter No. 3f. You will now be taken to the SE screen. 3g. Select Configure Network and set your static ip settings, and you can close the vSphere console window. 3i. Set a hostname and username. Click configure Nethosts. Click discover CLARiiON. 3j. 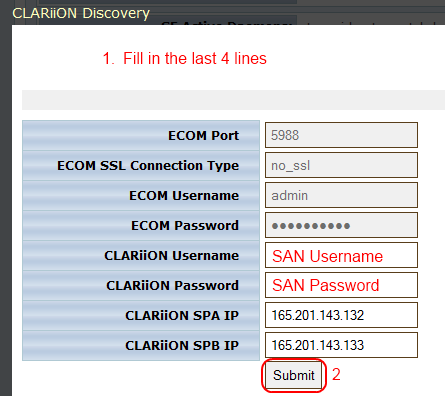 Enter the SAN username, password, and Storage Processor IPs. 4. Let’s get vSphere and that plug-in going! 4b. 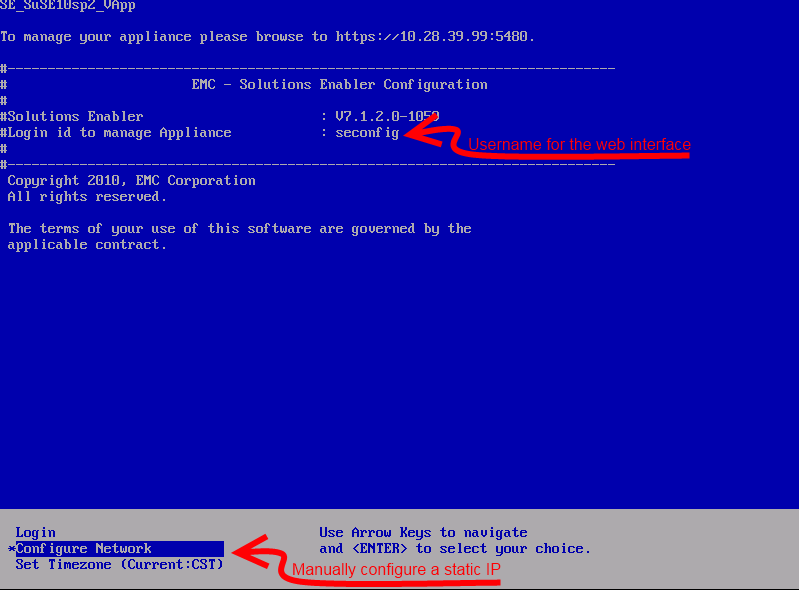 Install the EMC Solutions Enabler x86 version. x64 version will not work. 4c. Install the Virtual Storage Integrator. 4d. 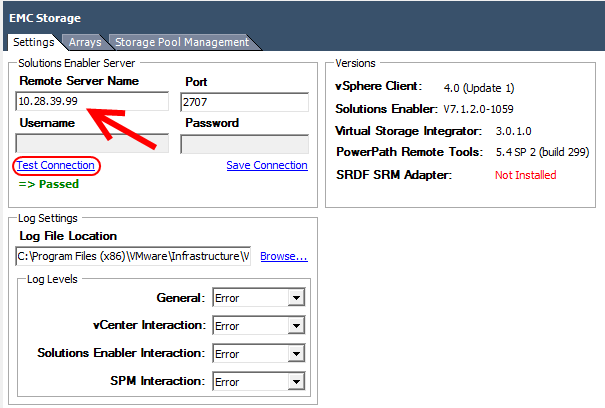 Use vSphere Client to log in. 4e. If everything went well you’ll have the EMC Storage icon. Woohoo! 5b. 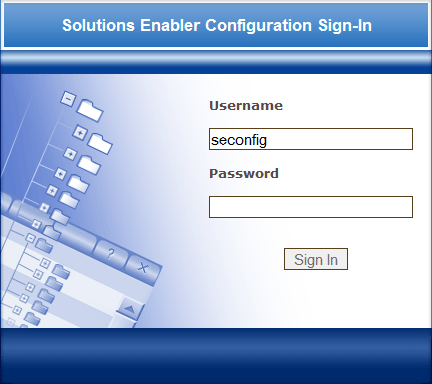 Enter the IP address of your Solutions Enabler vApp and click Test Connection. NOTE: If authentication didn’t pass. You need to add your hostname/nodename and Username/Users on the vApp’s web interface. Posted in CLARiiON, EMC, Virtual Storage Integrator, VMware. Next Post Free VMware learning!